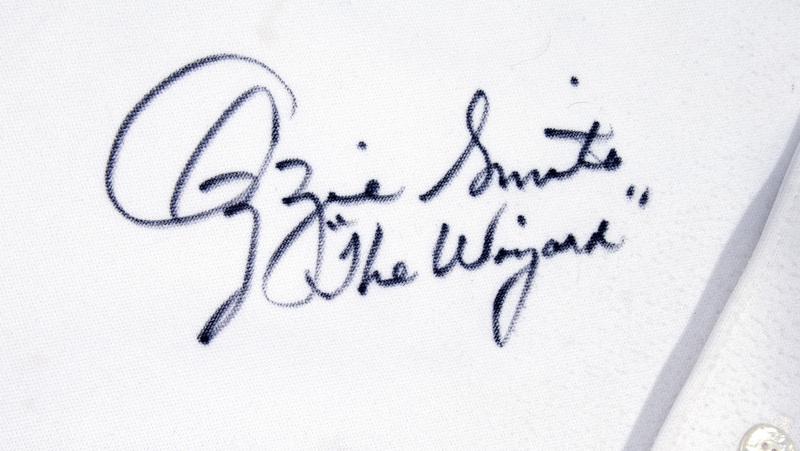 ADDENDUM: Catalog heading does not mention that this jersey is autographed and inscribed by Smith. 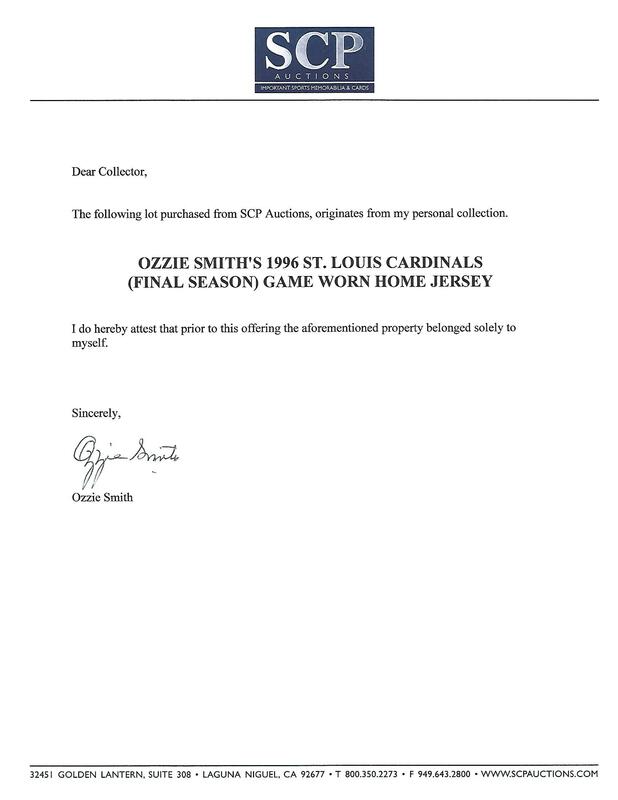 Straight from Ozzie Smith's personal collection comes this game worn home jersey from his final season, which he has autographed and inscribed "The Wizard" so eloquently on the front. 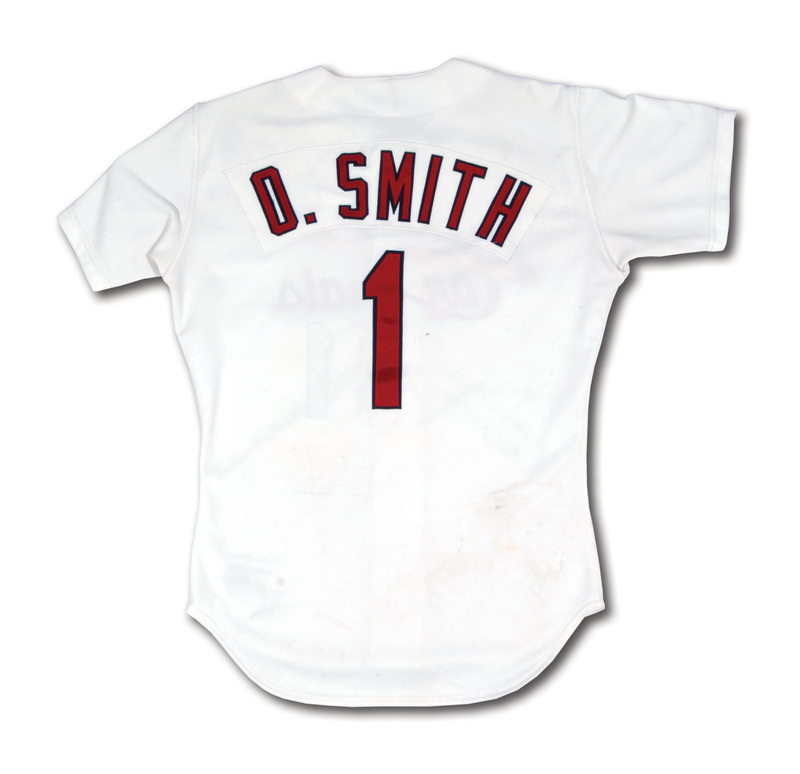 Easily the most beloved member of the standout St. Louis Cardinals clubs of the 1980's and 1990's, Smith was known for his defensive prowess and set Major League records for career assists (8,375) and double plays (1,590) by a shortstop (the latter since broken by Vizquel), as well as the National League record with 2,511 career games at the position. He won the NL Gold Glove 13 consecutive seasons (1980–1992) and made 15 All-Star teams, accumulating 2,460 hits and 580 stolen bases during his career. He even won the Silver Slugger Award in 1987 without hitting a home run! In 2002, Ozzie was elected to the Baseball Hall of Fame in his first year of eligibility. "1 Inch Shorter Length." 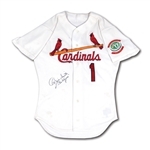 Across the front is the iconic team team (Cardinals on a bat) embroidered in red and yellow chain stitch with a navy blue embroidered border. Player No. "1" appears on both the front and back. Player name “O. 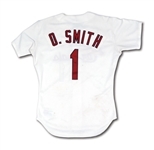 Smith” is arched on the back over a white nameplate. All numbers and letters are done in navy on red tackle twill. 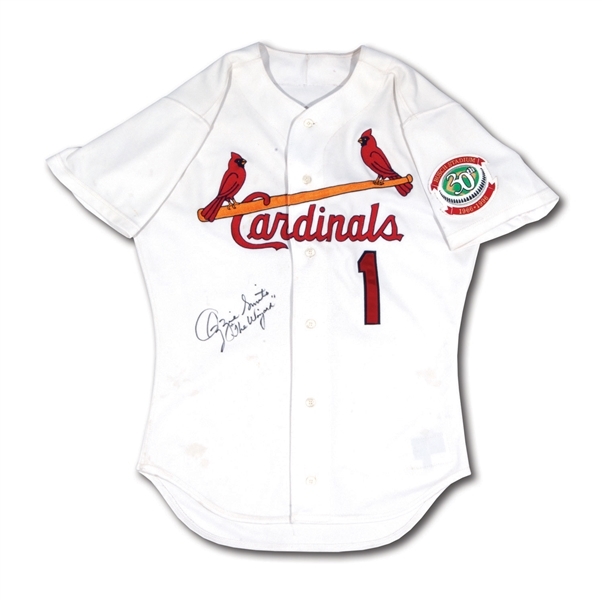 On the left sleeve is the “Busch Stadium 30th 1966-1996” anniversary patch. 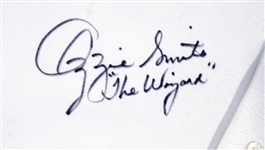 Ozzie has signed and inscribed the front in 8-9/10 black marker. 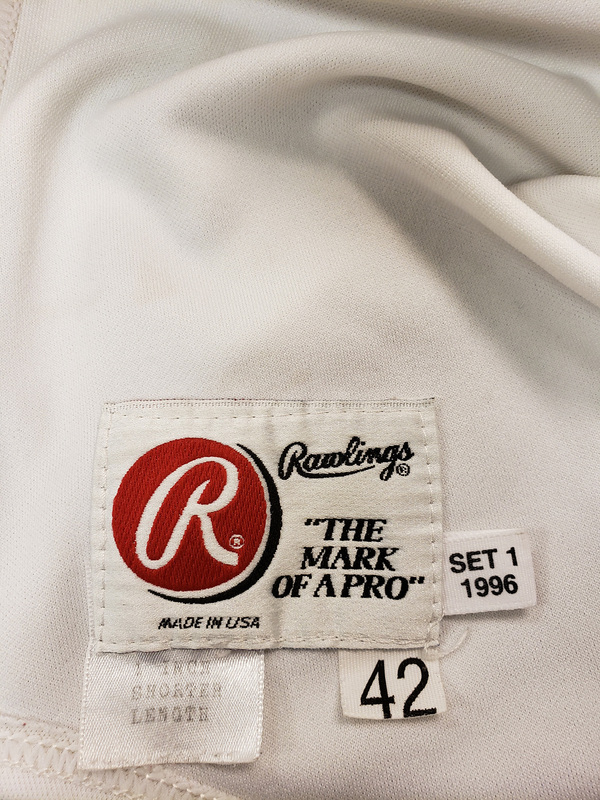 The all-original, button-down jersey shows significant wear with heavy pilling to the white knit fabric on the front and a few spots of soiling sprinkled throughout. The source couldn't be better for this shirt. Ozzie made his 15th and final All-Star appearance in 1996, putting the finishing touches on a masterful baseball career in the Gateway City. Includes LOA from Ozze Smith himself.